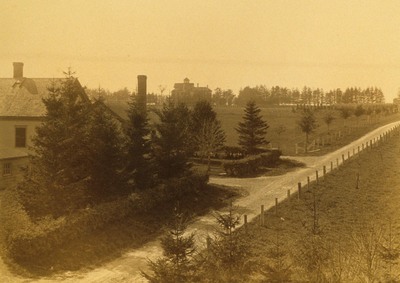 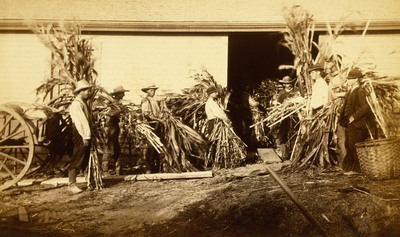 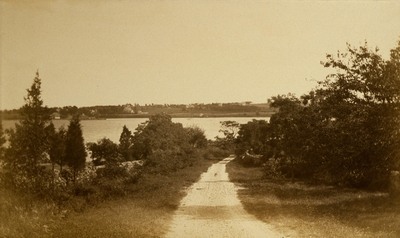 Ferrycliffe Farm, now the site of Roger Williams University, dates back to 1877 when the 130 acre property was purchased by Dr. Herbert Marshall Howe. 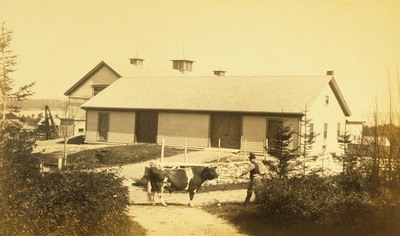 There he raised Jersey dairy cows. 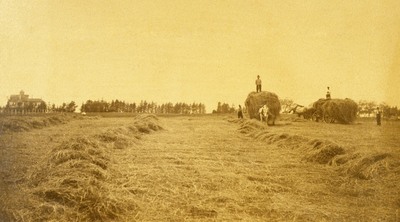 The prize of the herd was a magnificent bull named Gilderoy, born in 1876 and noted for a number of statewide and New England prizes. 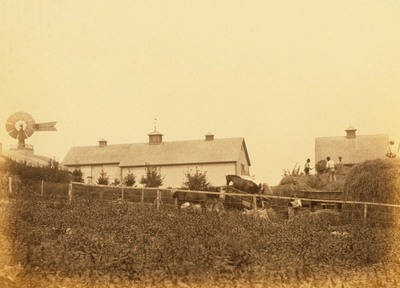 Across the road from the farm, he built a home for his family, affectionately known as the “Homestead”. 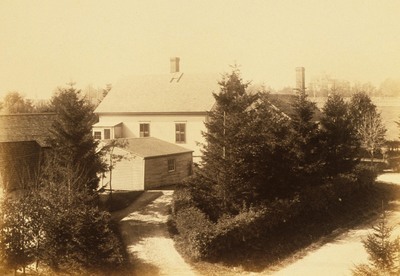 Today the University Residence stands in its place. 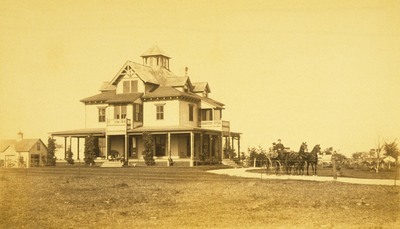 Dr. Howe and his wife Mary spent their summers at the Homestead with their six children. 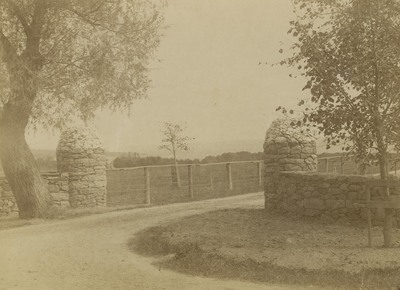 When Dr. Howe died, he left Ferrycliffe Farm to his daughter Edith, who in turn left it to her daughter Mary Howe. 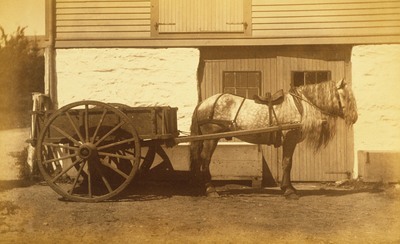 Farming continued on a smaller scale into the 1950s. 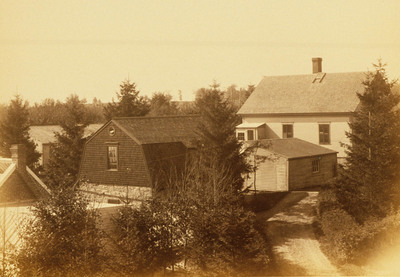 In the early 1960s, Roger Williams College purchased 63 acres of farm land from Dr. Howe's granddaughter, Mary Howe DeWolf Fulton and her husband Marshall Nairne Fulton. 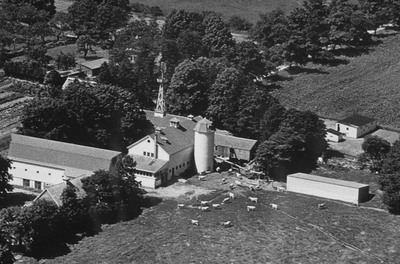 Later, in the 1990s, Roger Williams University purchased the remaining farm property. 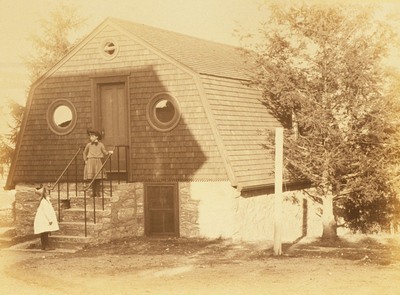 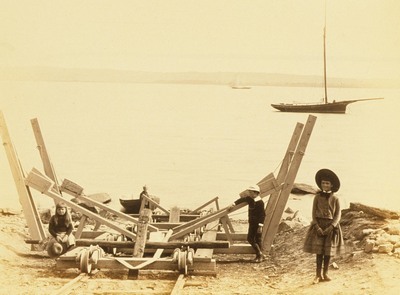 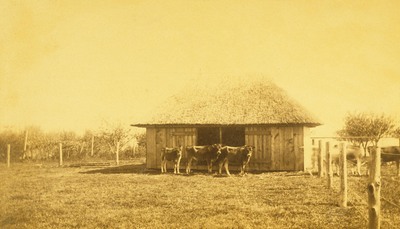 This series includes photographs of Dr. Howe's children and prized cows, as well as farm buildings.